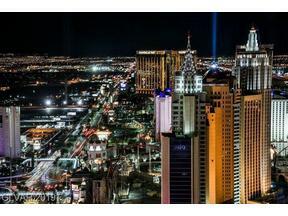 Yesterday was a beautiful spring day in Las Vegas and perfect for showing some of the best of the best in the Las Vegas High Rise Condo market. My buyer was from Chicago and was looking for a second home to escape the harsh winters. He was interested in viewing ONLY buildings in The Harmon Corridor area – comprised of Veer Towers, Mandarin Oriental, Cosmopolitan (directly on Las Vegas Blvd & Harmon), as well as The Martin & Panorama Towers, which sit just west of Las Vegas Blvd and give a different view perspective yet are within walking distance to the epicenter of the Las Vegas Strip. 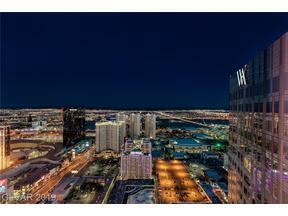 We started at Veer Towers and viewed 3 penthouse units in the West Tower. 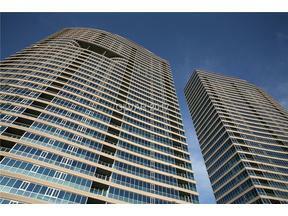 The penthouses make up the 35th & 36th floors, and there are 4 penthouse units per floor. 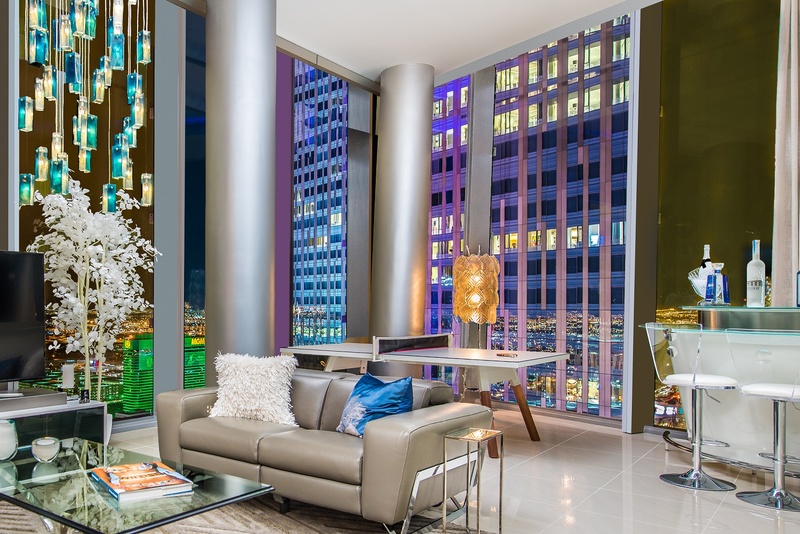 What I love about the Veer Towers Penthouses is that the ceiling height is about 13′ in the living areas, giving a feeling of openness especially with the floor to ceiling glass. It is very impressive to say the least. 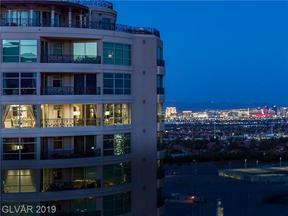 Both of us preferred the unit that sat on the NW corner of the West Tower that had amazing views of the Bellagio Fountains to the North, with Aria & mountain views to the West. There is something about facing the Bellagio Fountains and seeing that water show that never gets old. From Veer Towers, we walked through CityCenter (which happens to be my favorite spot) to Mandarin Oriental. 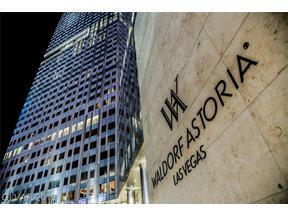 The Residences are Mandarin Oriental Las Vegas are fully residential. While there are hotel units from floors 23 and below, the luxury condos are located on floors 24-47, and there are no hotel guests in this portion of the building. Residents enjoy full access to a 5 star hotel and all the amenities, yet have their own separate lobby, valet, concierge, and private homes. 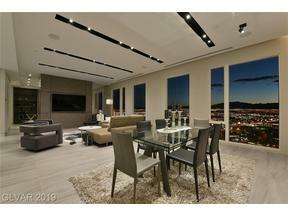 The penthouses are located on floors 41-47 and range in size from 2100 sf-4000 sf. 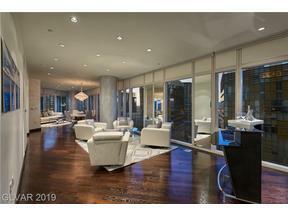 There are 7 units per floor in the Penthouse Collection vs. 9 units per floor in the Luxury Collection. The end cap units have a beautiful iron gate just before the front door. Many of the luxury penthouses we viewed have been completely remodeled from the original finishings, and owners have spent anywhere from $300,000-over $2 million in renovations in some cases. 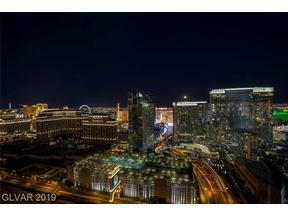 Views are similar to what you will find in Veer Towers, but one of the differences between the two buildings is in Veer you have walls of floor to ceiling glass vs. 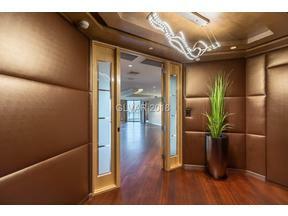 The Mandarin, which has solid wall paneling in between the floor to ceiling glass. The Mandarin Oriental feels very warm and inviting, not to mention the staff is there to assist with your every need. While touring the amenities, I was envying the people soaking up the sun poolside! 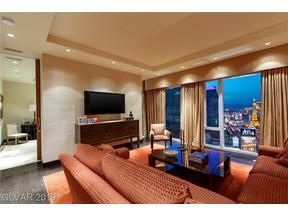 From Mandarin Oriental, we headed to The Cosmopolitan, to see a fully furnished studio unit. Completely different than what we had looked at previously, but this buyer loves this particular location and was intrigued. There are only a handful of owner owned units, and there was only 1 on the market at time of showing. We sold over 100+ Cosmopolitan units in the pre-construction heyday – it was THE spot. Unfortunately, the market crashed, and most people couldn’t close escrow but were able to retain a good portion of their 20% deposits. It’s too bad they didn’t close, as The Cosmo commands a very high dollar per sf, and in the rare instance a unit does come on the market, it usually sells fast. 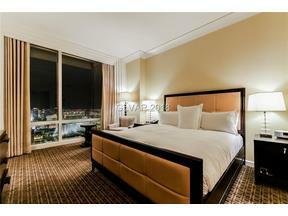 We viewed a studio unit with a great spacious layout, on the 52nd floor priced at $849,000. Views are phenomenal. From Cosmopolitan, we headed to The Martin, just across the Harmon Overpass. Click Here to See A Driving Tour. 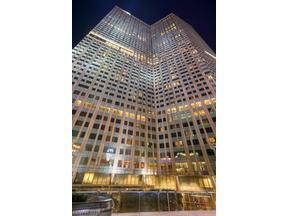 The Penthouse units are located on the 43rd, 44th, and 45th floor. These were sold as “grey shells” in which the owners built and designed the floorplan from scratch, so you will find a variety of designs and finishes. While no units in Veer or Mandarin have balconies (due to its Leed Certification status), The Martin penthouse units have large spacious balconies to take advantage of the panoramic views. The Martin building is fantastic, and those who know me, know that it is one of my personal favorites. It has a very elegant yet hip vibe similar to a W Hotel, the staff is great, the amenities are top notch, yet the HOA dues remain very reasonable. The gym is one of the best of ALL the buildings, there is driver service on Thursday-Sunday, and Blind Pig Restaurant located next door at Panorama Towers delivers delicious food. I can envision some fantastic entertaining from a penthouse at The Martin, especially with the indoor/outdoor space & glorious wraparound views these luxury condos provide. No Tour of The Harmon Corridor would be complete without showing Panorama Towers. At the time of showing (and writing this) there was only 1 penthouse unit available for sale. It was on the top floor – 33, and was a 4800 sf with 3 Master Suites. Panorama’s name certainly is fitting as the views are just that – panoramic. This particular PH I showed, while big, had some walls in the middle of the main room that blocked the best part of any Penthouse unit – which are the views. The owner is currently planning a remodel to open it up, which will make it much more sellable. So what did my client like best? I am pretty good at reading people and picking up on what they like and don’t like – I guess that is a skill you learn after 20 years as a Las Vegas Real Estate Agent & observant listener! I have a feeling I know which one he will pick once he digests all the info……I’ll keep you posted! 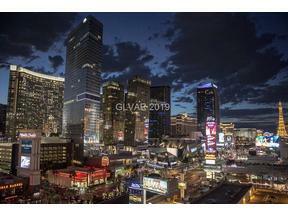 Looking to Buy or Sell A Las Vegas Penthouse? Please Contact Me to Discuss, I look forward to hearing from you. This entry was posted in CityCenter, Condos Near Aria, Las Vegas Luxury Condos, Million Dollar Penthouses and tagged Las Vegas Penthouses for Sale, Las Vegas Strip Penthouses for Sale, Panorama Towers, The Cosmopolitan Condos for Sale, The Mandarin Oriental Penthouses in Las Vegas, The Martin, Veer Towers. Bookmark the permalink.